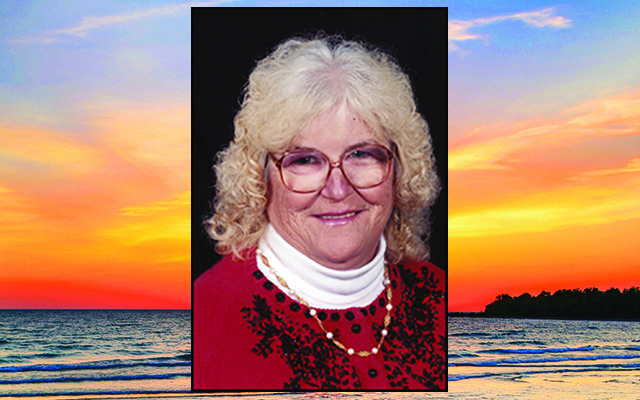 PRESQUE ISLE, Maine – Shirley Marie Pelkey, 75, passed away on July 5, 2018, at The Aroostook Medical Center, Presque Isle. She was born on November 2, 1942, in Caribou, the daughter of Sanger E. and Blanche M. (Legasse) Maxwell. Shirley loved to play bingo, crafting, and country dancing. Her greatest enjoyment was spending time with her grandchildren. She is survived by her sons, Michael Shorey of CT, Jeff Shorey of Old Town, and Danny Shorey of Caribou; a daughter, Ruth Bailey of SC; her sisters, Nancy Kummer of CT, and Rita Getchell of FL; as well as a daughter-in-law, Linda Maxwell of FL; and 18 grandchildren and eight great-grandchildren. In addition to her parents, Shirley was predeceased by her husband, Wayne Shorey; her sons, David and Randy Shorey; all of her brothers, including Delmer and Gordon Maxwell, and her sister, Marie Howe. Friends called at 1 p.m. on Saturday, July 7, 2018, at Duncan-Graves Funeral Home, 30 Church St., Presque Isle, where a funeral service was held at 2 p.m. with Pastor Matt Palmer, officiating. Interment followed at Fairmount Cemetery, Presque Isle. Online condolences may be expressed at www.duncan-graves.com.